For a nearly 100 year period, 1834–1933, paper money issued by the U.S. government could be redeemed for an equal amount of gold. During this span, anytime a government, company, or individual wanted, they could surrender their dollars and get gold coins or bullion in return. The U.S. Treasury, through the banking system, was required to make the exchange. During the Great Depression, President Franklin D. Roosevelt signed an executive order in 1933 requiring all citizens of the United States to turn in their gold coins, gold bullion, and gold certificates which were redeemed by the Federal Reserve for a government-set price of $20.67 per ounce. In 1934, Congress reinforced Roosevelt’s executive order by passing the Gold Reserve Act, effectively making it a crime to own gold. FDR puts his signature to the Gold Reserve Act, effectively banning ownership of gold by U.S. citizens. The United States remained on a watered down version of the gold standard until President Richard Nixon finally ended it entirely in 1971. The provisions of the Gold Reserve Act, restricting private ownership of gold, lasted until 1974 when President Gerald Ford signed a bill which once again permitted ownership of gold by U.S. citizens. What does any of this have to do with cryptocurrency? Quite a bit, actually. One of the goals of any currency, crypto or otherwise, is universal acceptance as a medium of exchange. Often termed “mass adoption” by cryptocurrency proponents, it has proved elusive even though Bitcoin and blockchain have been around for more than a decade. After all, only governments have the ability to force mass adoption simply by fiat, or governmental edict. Any other bona fide forms of exchange have to be based on a real-world value. And there lies the biggest hurdle cryptocurrencies have to overcome in order to be considered a medium of exchange and to achieve mass adoption. Most cryptos have no tangible value and are not backed by anything of worth. Cryptocurrencies such as this are almost always subject to wild swings in price because there is no mechanism in place to stabilize the token. Stablecoins have gone a long way toward providing the value and stability necessary for a crypto to achieve widespread acceptance. Without going into a detailed explanation of what constitutes a stablecoin and their respective levels of stability, I will give some basics. Stablecoins attempt to achieve stability by backing the coin with something of value. Some are backed by commodities, some by other cryptocurrencies, and others by fiat currency. The type of collateral used to back the coin determines how stable the coin itself is. Those that are backed by other cryptocurrencies tend to be the least stable due to the inherent instability of cryptocurrencies. Coins or tokens which are backed by commodities, while usually better than those backed by cryptocurrencies, are often unstable because the price of most commodities, including gold, can change quickly and vary widely. Stablecoins backed by stable fiat currencies such as the U.S. dollar tend to fare best of the three because they are normally the most stable of the three types. In my opinion, the answer to that question is: not only can cryptocurrencies be made as good as gold, they can actually be made better than gold. When the U.S. dollar was on the gold standard, the price of gold was set by the government. It was static and therefore the currency which was backed by it was, for the most part, stable. Once gold became a commodity sold on the world market its price fluctuated, and it continues to do so today. So, using gold to collateralize a cryptocurrency will not impart a level of stability necessary to make that cryptocurrency viable as a medium of exchange. Gold is simply too unstable for that purpose, and so is silver or any other precious metal. So what is better than gold? Cryptocurrencies pegged to the bigger, more stable fiat currencies such as the U.S. dollar, can impart a good deal of stability, even enough to be considered as a medium of exchange. This is certainly better than gold, if the objective is simply stability. However, fiat currencies cannot provide another element that most crypto proponents insist upon — giving crypto the ability to serve as a store of value. Built-in inflation will erode the purchasing power of anything which is tied to a fiat currency so, although fiat can provide a level of stability, it can only be useful as a store of value for very short periods of time. In that regard, gold most likely has an advantage. The answer to providing both stability and a store of value? 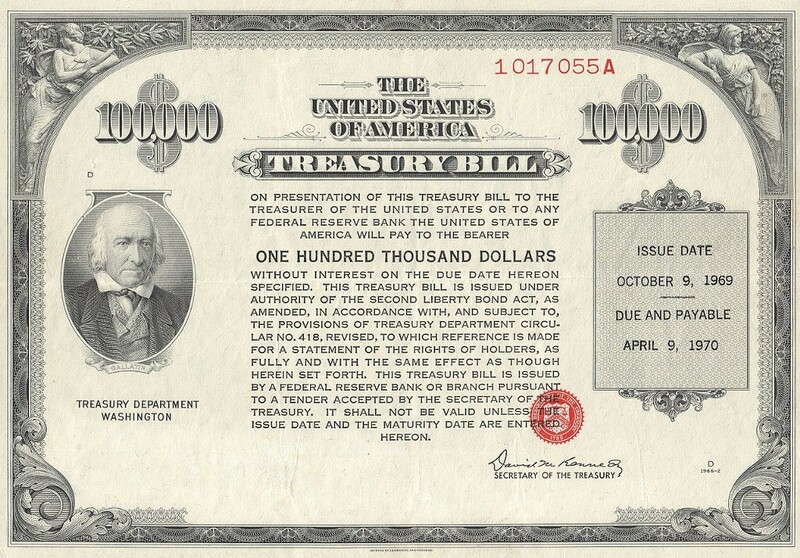 Something that hasn’t been given much thought as collateral for a cryptocurrency: short term, interest-bearing financial instruments such as U.S. Treasury bills. T-bills normally yield enough that investments can keep pace with, or exceed, losses due to monetary inflation. This would make a cryptocurrency backed by T-bills a genuine store of value. In addition, such crypto would enjoy the stability that such instruments provide. T-bills used to be issued in paper form; they are issued only in electronic form today. Throw in a policy that enables investors to redeem their cryptocurrency for an amount that reflects the balance of the collateral, and such a cryptocurrency would certainly be as good as gold, if not better. Full disclosure: I am the CEO of Monetran LLC, an internet fintech company which has developed Moneda, a stable token based on the general principles outlined above. The method is patent pending at this time. More information can be found here. Can Cryptocurrencies Be Made As Good As Gold? was originally published in Data Driven Investor on Medium, where people are continuing the conversation by highlighting and responding to this story. The HUGE need to implement blockchain in 3rd world countries goverments.